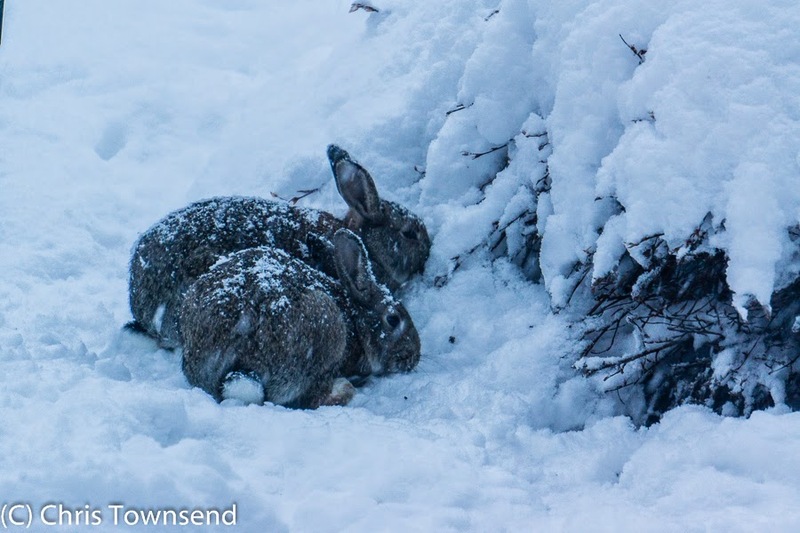 The deep snow - and it keeps falling - is making life very difficult for wildlife. The feeders and trays in the garden are emptying fast every day and it's not just the small birds that are coming to eat. 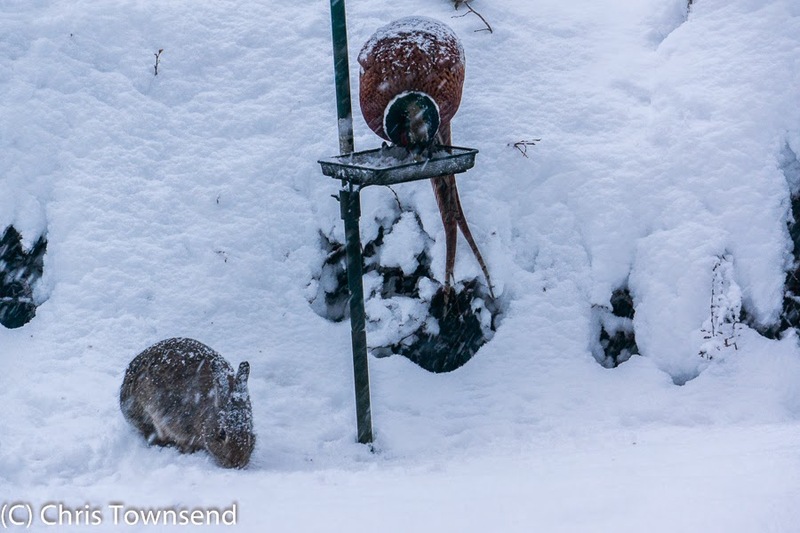 Rabbits, which are finding it hard to dig through the snow to any vegetation, have found the snow is deep enough that they can reach the feeders. 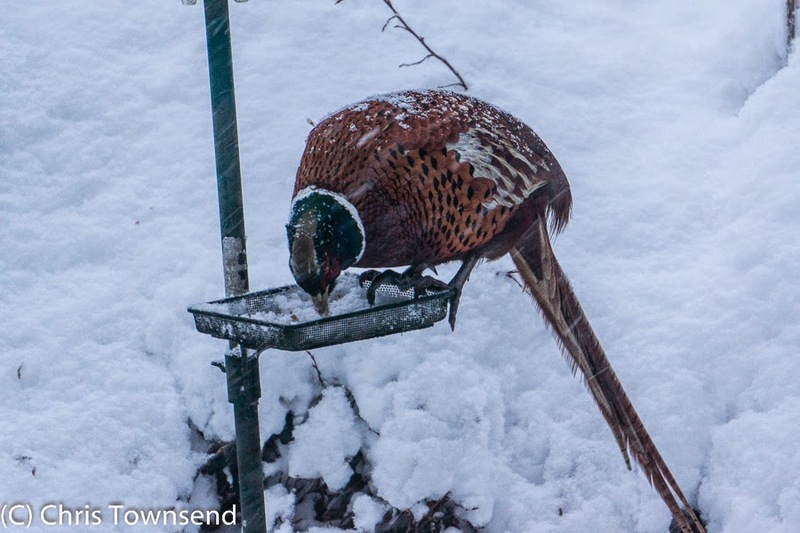 Pheasants perch precariously on small seed trays, pecking through the snow. 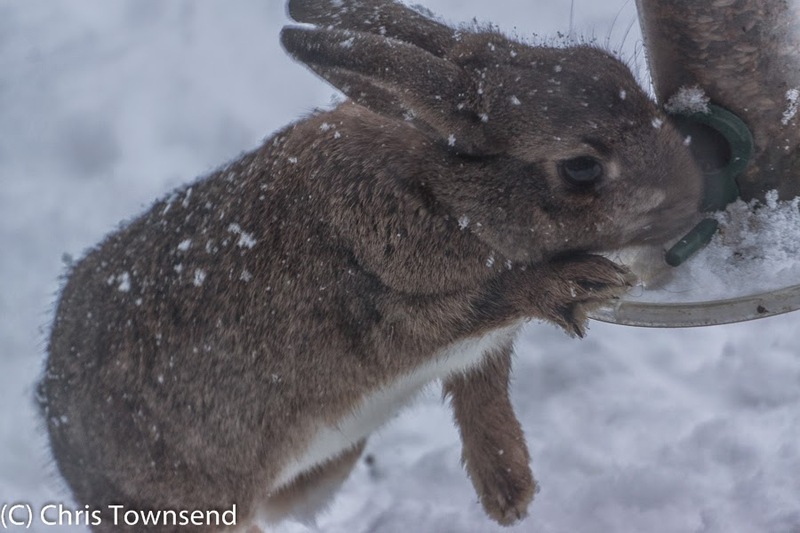 Rabbits also hang around under the feeders waiting for spilt nuts and seeds to fall and push through the snow to the dry twigs of frozen bushes.